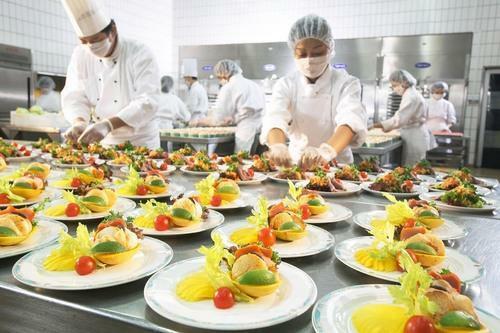 We are considered as the foremost entity involved in providing services for Catering Service. Our rendered service is offered in various places and parties. The offered services are rendered under the observation of experts in compliance with customers’ need utilizing and wants. Founded in the year of 1978, we Dimple Restaurant are known to be manufacturer, supplier and service provider of Party Organising Services, Catering Services, Wedding Services, Corporate Events Service, Event Management Service and Ready To Eat Food. We are providing number of services to our clients according to their needs and wants. The services offered by us are highly demanded by the clients for their timely completion, reliability and customer specific results. Apart from this, these services include numerous types of programs like corporate party, birthday party and other various occasions. These services are provided to the clients at per the varied needs and demands. Rendered services are precisely rendered within promised time frame.